Mabuhay! This website is about me and why I created a website on glutathione. 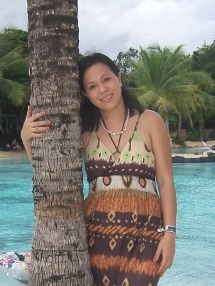 My name is Donna Dwan De Belen from the Philippines. My friends call me "Dwan." I'm happily married to Victor and we have one handsome boy named after him. My goal is to live a healthy and happy life until I reach a hundred years old. Plus or minus 2 years. Why 100 yrs old? Because I want to live long enough to see all my children and grandchildren grow as successful people in their own chosen fields. I'm passionate about good health because I learned its importance the hard way. Just like most people, I took my health for granted until I faced the consequences. My diet consisted of a lot of meat and few vegetables and fruits. I also did not take any vitamins. My parents were the same way so I guess, I just did what my parents did. Both my dad and mom are now diabetic. They are both taking insulin shots daily. My dad has had 2 strokes but luckily, he's still OK. But of course, both my mom and dad had to spend thousands of pesos in medicines and doctor visits to sustain their health. And I don't want that to happen to me or my family. Knowing my family health background and my own, I know I have to watch my health closely. I, too, have been sick. In 2006 when I was 29 years old, I contracted tuberculosis. However I got it, it was partly due to my poor immune system. And to make matters worse, six months after, I was diagnosed to have gallstones. Anyone who has had gallstones symptoms know that the stomach pain caused by these stones is excruciating. 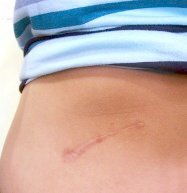 I didn't think that I would ever get hospitalized, much worse, undergo an operation at a young age. After all, I wasn't even overweight. After my gallbladder operation, I gained weight. I became 30 lbs. overweight. So, my self-esteem went down. And I got even fatter. Urgh! To cut the long story short, I learned from my mistakes. I researched and devoured books and the internet about health and fitness. I enrolled in a local gym- as a lifetime member. I made a decision to live a healthy and fit life because I know how it feels like to be in pain, to be fat, to undergo an operation. I'm back to my healthy and acceptable weight now. And I also feel healthier. I've learned to eat some vegetables. I try to incorporate exercise three times a week. And I also earned to take vitamins and supplements. For my supplements, I take a multivitamin, an aloe vera juice for better digestion, and a glutathione accelerator to boost my overall immune health. Oh, I forgot to add, my mom just had cataract surgery last year. It's one of those add-ons when you have diabetes. I learned that one cause of cataracts is oxidative stress. I think it could have been prevented by taking lots of antioxidants. But well, it's now up to me to prevent diabetes and its complications to take place. I'm glad I know better. In today's age of fast and processed foods, sedentary living, pollution, and new strains of viruses, a strong and healthy body is essential. A strong immune system can prevent a lot of viruses (such as the flu virus and the latest AH1N1) to weaken our body. Just like a baby complete with immunizations, we, adults, also must also have a strong immune system. So we remain healthy and do the things we love to do. Then take care of your health now! Exercise and maintain your ideal weight! Boost your immunity by increasing your glutathione levels! Health brings you precious moments that are priceless! To know how glutathione can benefit your body, click here. Like me, do you want to create a website about something you love or love to do? Find out how here. Do you like to watch it in video instead? Click here. And oh, did I mention that I'm a work-at-home mom? I spend most of my time with my family and my web businesses. I sell glutathione boosting supplements. Want to know more about my glutathione supplement? Read how to become a distributor here. And I also click ads to earn income online as well. You can see why working at home (through the internet) suits me well! I also love flowers! 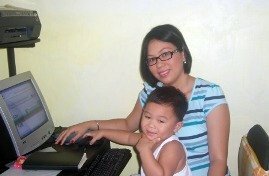 For fresh, beautiful flowers delivered anywhere in the Philippines, I find myflowerdepot.com fabulous! Aside from its fast service, it also offers the lowest price among online flower delivery services. "Enough About Me, Back to HOME"
It's a good idea to protect one's health. Online, there are many ways your well-being can be compromised. For example, Google bombs. When people hold a grudge, these search engine manipulation tricks can wreak havoc. The following link refers to a site this is a case in point. If you're wondering how a Google bomb can effect you, check it out: SiteSell.